Written by Jason on March 18, 2019 . For the best use of budget, start your search to cover the lower end of ‘Very Slightly Included’ and ‘Slightly Included’ (i.e. VS2, SI1, SI2). Move up clarity grades if needed. Focus exclusively on getting a diamond that is “clean” to the naked eye (“eye clean”). This means no noticeable inclusions can be seen. > See our eye clean guide for more tips. Never purchase a I1 / I2 / I3 stone as those are unsightly and a poor use of budget. The cost of a diamond rises considerably as you move towards the flawless end of the spectrum. This is due to the rarity of flawless diamonds in nature. Inclusions are part of the natural formation process of a diamond. 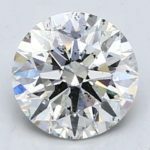 One of the 4Cs, second in importance after Cut, diamond clarity refers to the degree to which a diamond is free from inclusions. 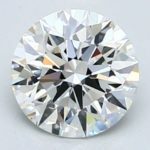 For those learning, inclusions are naturally occurring imperfections found within diamonds. 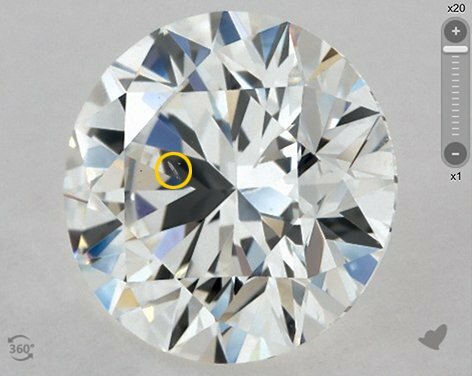 The most easy to find inclusions show up as a black spot within a diamond. 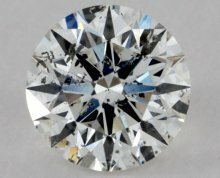 Since inclusions take away from the visual effect of the diamond, it makes sense that the more inclusions found within a diamond, the poorer the clarity grade. Likewise, the FEWER the inclusions, the better the clarity grade. Like all things in nature, imperfections come in all shapes and sizes. Because of this, diamonds are evaluated in a lab and given a ‘clarity grade’ based on the presence, size, and location of these inclusions. 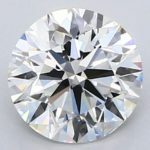 Diamond clarity grade (in most cases) is a good representation of what the diamond will look like and so diamond prices are affected by clarity grade. As a general rule of thumb, the higher the clarity grade, the higher the price. 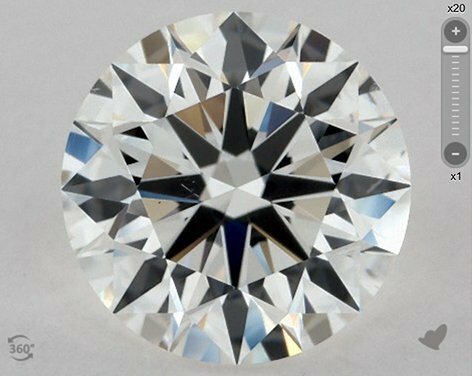 Diamond clarity grades range from Flawless (FL), Internally Flawless (IF), Very Very Slightly Included (VVS), Very Slightly Included (VS), Slightly Included (SI) and Included (I). Within each of these ranges, additional grading exists to help identify if a diamond is on the high side of the range or the low side. For example, consider a Very Very Slightly Included (VVS) stone. Within the VVS range, diamonds can be given a grade of either VVS1 or VVS2, the better of the two being VVS1. To the untrained eye of a consumer, there’s no real difference. But to a trained gemologist viewing the stone under magnification, the inclusions in the VVS1 will be less apparently and hence the superior grade. The figure below gives a good visual representation of the different clarity grades. No two diamonds are alike. The same can be said for inclusions. Two diamonds within the same clarity grade (i.e. SI1 – Slightly Included) can still look drastically different thanks in part to the different nature of inclusions each may possess. 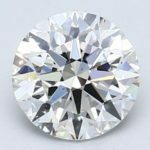 Take a moment to explore your preferred online diamond retailer and see how even within a clarity grade how diverse diamonds. Tip: Both stones are SI2. However, the diamond on the left has far less visible inclusions making it a smart buy! The above is a great example where spending a bit of extra time combing through SI clarity diamonds can net you a great eye-clean diamond without the extra budget! Already Have a Clarity Grade in Mind? Many of our readers who reach out to us for recommends often have a clarity grade in mind. 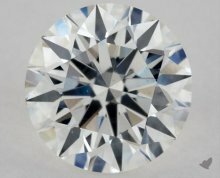 In many cases, the clarity grade in mind in higher than what is actually needed to get an eye clean diamond. 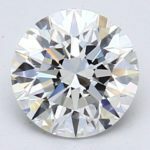 Although you may already have a clarity grading in mind, consider exploring diamonds from each clarity grade before selecting your final diamond. 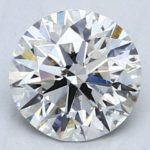 This will help you get familiar with the various types of inclusions, their positions, and how it impacts the overall diamond. What you may find is that although you are targeting a VVS1 clarity grade, you will not notice any difference when compared against a VS1 clarity grade, and therefore have an opportunity to go with the lower clarity grade and save money. These photos of real diamonds will give you a sense of what to expect for each clarity grade. Notice the presence of inclusions towards the lower clarity grades. Clicking on the image will bring up the actual stone. Learn About Clarity … and then Forget About It! Once you understand all about diamond clarity grades, you’ve successfully developed an understanding on how to navigate diamond websites. At this point, put diamond clarity aside and focus exclusively on identifying eye clean diamonds. This ensures that you are paying for a diamond that is clear of inclusions to the naked eye and not paying for a classification on paper. Diamonds garner a lot of attention so it’s important to make sure it looks great from every angle. Diamond retailers have made this incredible easy by offering high resolution images of actual diamonds and, more importantly, 360 degree views of in-house diamonds. These tools are extremely valuable for shoppers by enabling you to inspect your diamond from every angle and evaluate the degree of clarity. Inclusions which might go unseen in a diamond image are brought to light when viewed in 360. The 360 view enables the inclusion to be seen after a slight rotation.